Pictured in the new W E Clark and Son showroom in Uckfield High Street are, from the left, Shirley Wickham, manager Charlotte Roake, and Kylie Manville. 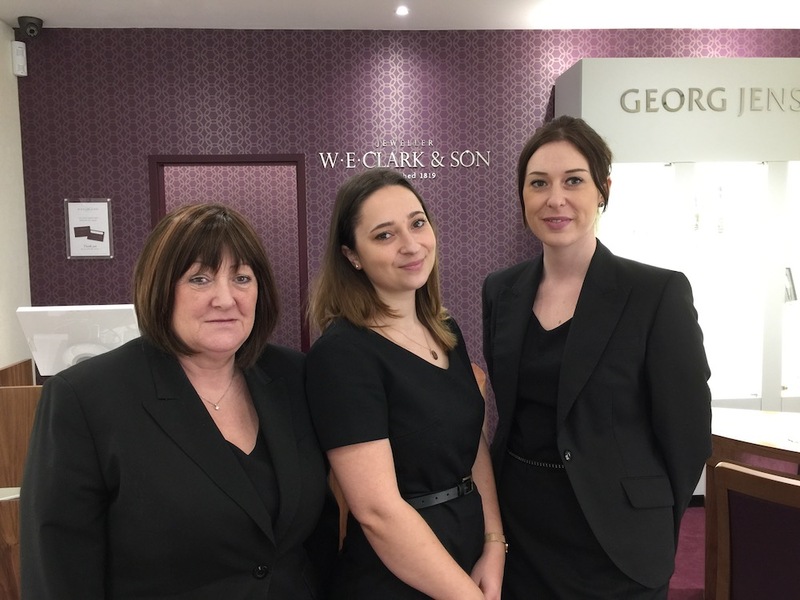 Uckfield has given a warm welcome to the new W E Clark and Son jewellery shop in town, according to shop manager Charlotte Roake. Charlotte, along with her colleagues Shirley Wickham and Kylie Manville all live in Uckfield and are enjoying working in the High Street. Kylie is new to the team and Charlotte and Shirley are both established in the company, which also has shops in Lewes and Eastbourne. Charlotte says there will be promotions throughout the year, including for Valentine’s Day, Mother’s Day and Father’s Day, and there will be competitions through social media too. Clarks have their own goldsmiths on site in the Lewes store and the business also has a watchmaker who is skilled in working on vintage as well as new models. Read more about W E Clark and Son in their premium listing in our Uckfield Directory.